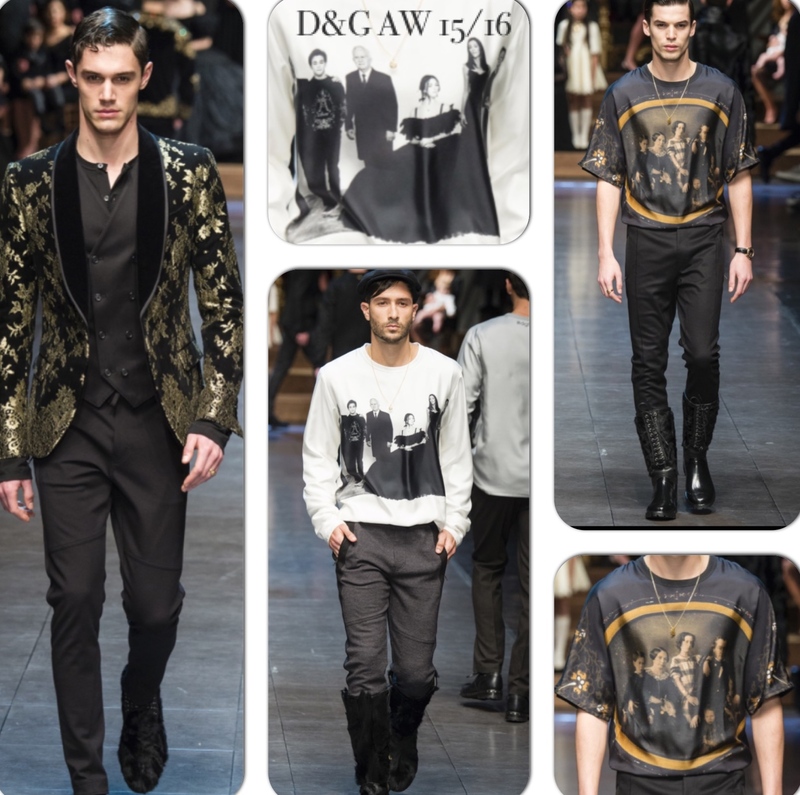 The D&G show in Milan was amazing! 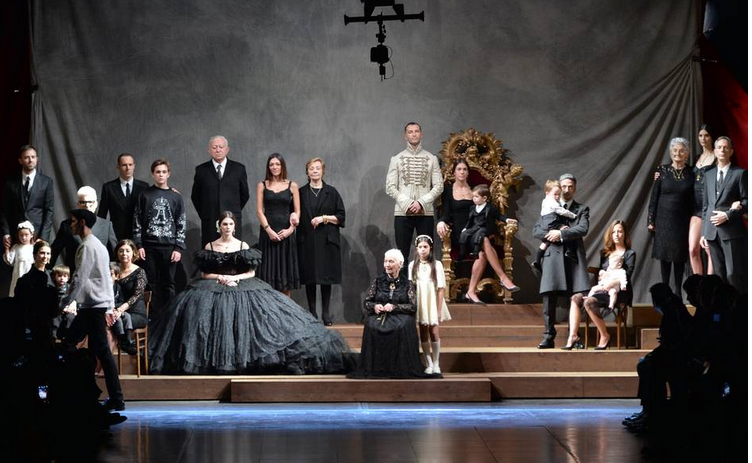 D&G created a family portrait setting to show off their new designs. 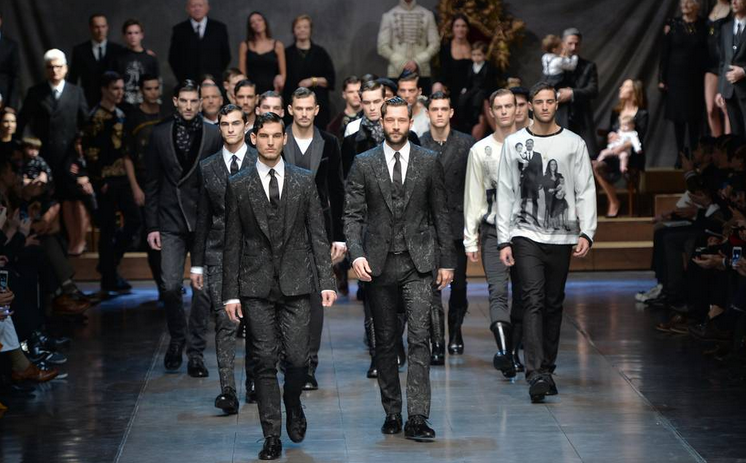 It was one of my favorite show’s for Menswear shows in Milan this year. The suits were very well constructed and detailed I am in love! 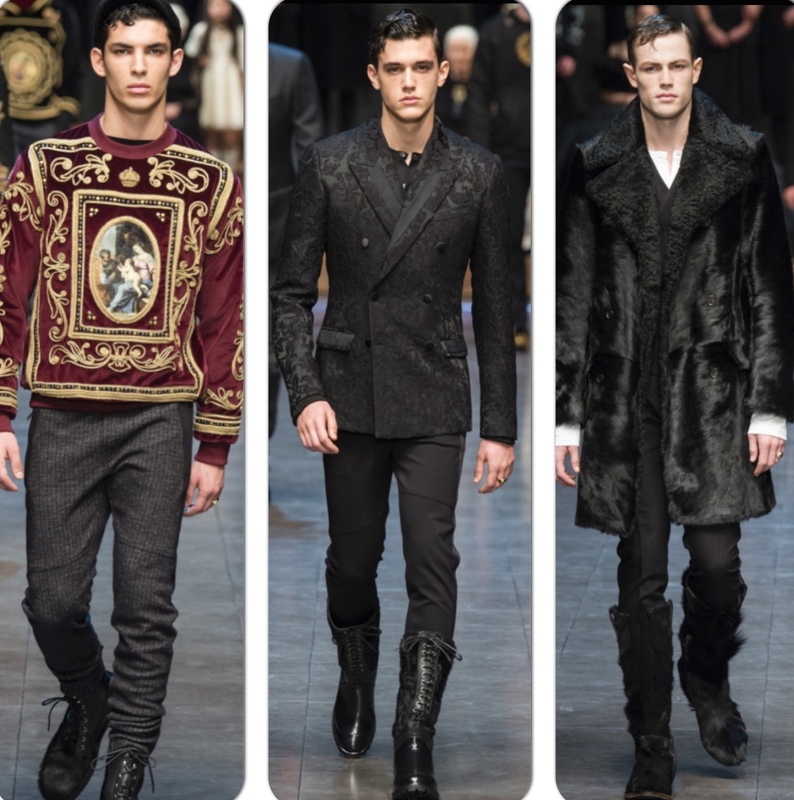 D&G is great at delivering their signature look’s. 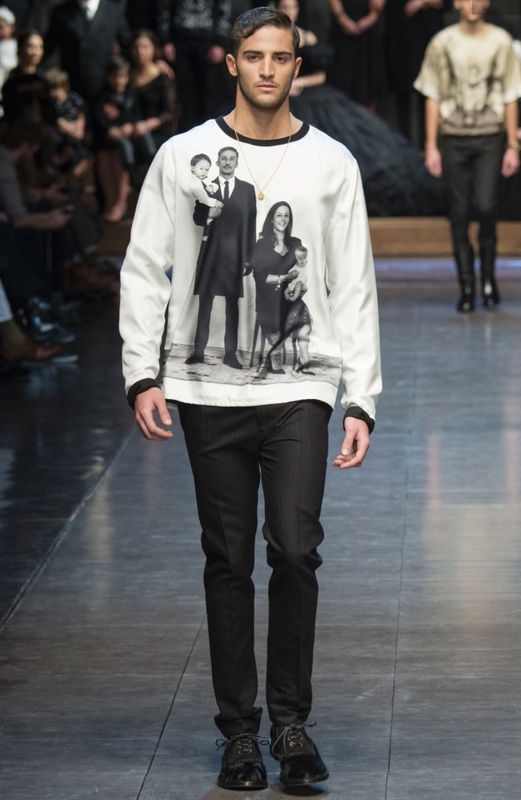 The prints are very Italian I love the framing and vintage style. There was some pieces with photos used on them and it looked very well polished and original. 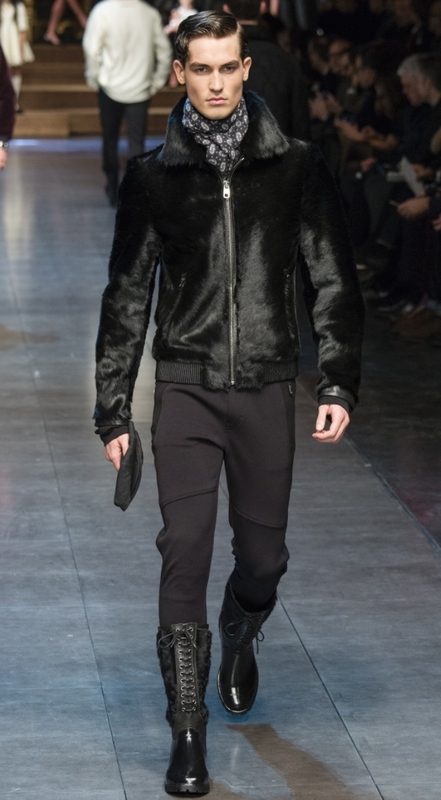 The combat boots are also very nice look for the winter season. 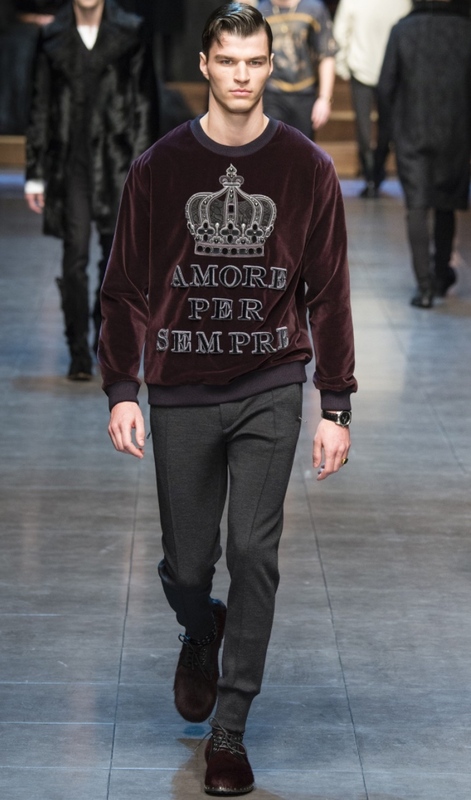 The collection gives off a royal vibe, one can imagine Julius Caesar wearing the collection. 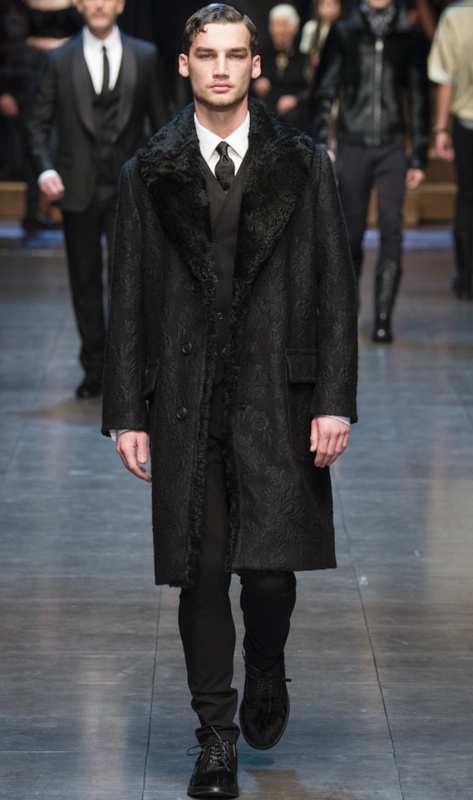 Here is a look at some of the A/W 15 collection.